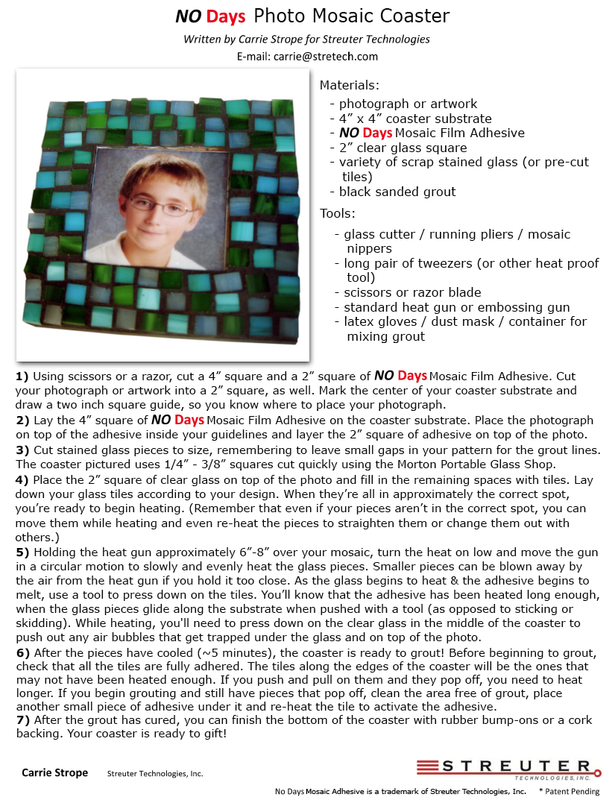 This photo mosaic coaster makes a great project as a gift for a parent, grandparents, aunts, uncles and other family members. It’s super easy, and if you eliminate the spacing between the pieces, you could skip the grouting to make for a quicker project. The No Days Mosaic Adhesive helps to water proof the photograph and coaster.